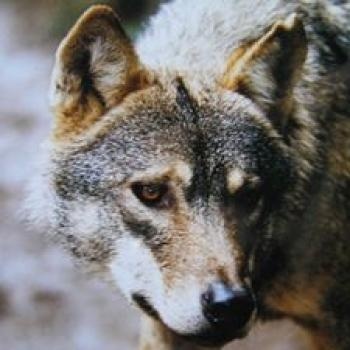 Alba was the first male cub born to Apollo and Luna after they were imported with another female European wolf, Athena, in 1998. 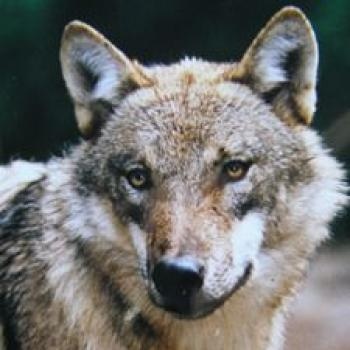 To date Alba and his sisters are the only wolves to be bred at the UKWCT. They are thought to be the first European cubs to have been born and raised to adulthood in England since wolves were hunted to extinction in the 16th century. In 2005 Alba fractured a vertebra in his neck whilst running in the enclosure; the damage was mainly to the left hand side of his head and left eye, paralysis to left foreleg and restricted movement in left hind leg. After eight weeks of intensive rehabilitation by the UKWCT team he could walk again but would suffer the effects of the injury for the rest of his life. Even though Alba walked with a pronounced wobble due to his injury, he was still a very impressive wolf. At times when he stood still, focused on a distant object, you could still see a glimmer of his former self. He was proud, strong minded, loyal to those he liked and intimidating to those he didn’t. Although he wasn’t as strong physically as he had been he made up for it in determination and spirit. In 2009 the constant strain on his body meant that his mobility was becoming more limited. Finally on 23rd January 2010 he lost the use of both hind legs and the decision was made to put him to sleep. Alba had so much presence he will be greatly missed not only by his sisters but all who knew him.